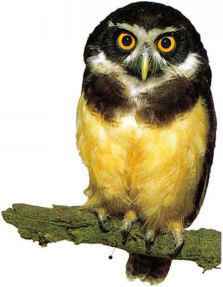 I his small woodland owl roosts in tree cavities or thick foliage and hums prey including insects, birds, and squirrels. Its calls are a descending series of quavering whistles, or the wailing sounds to which the name refers, or a long, sharp trill. • NEST An unlined cavity in a tree. • Distribution FromS. Canada through E., C., and S. USA to N.E. Mexico.